It’s been several months since we’ve last discussed influencer marketing as a key part of a company’s holistic digital marketing strategy. With 2018 in full swing, it’s time to revisit why brands and organizations in every industry are embracing the use of influencers, and how your business could benefit from this rising marketing trend. We wanted to outline why worth it’s worth the investment to hire influencers, and remind you what you need to do before rushing into starting a campaign. Read on for actionable tips about succeeding at influencer marketing the right way. Since consumers are increasingly dependent upon their devices, they (we) are extremely impressionable. In many ways, who we follow on each respective social media platform defines who we are, what we like, and as a result, what we buy. 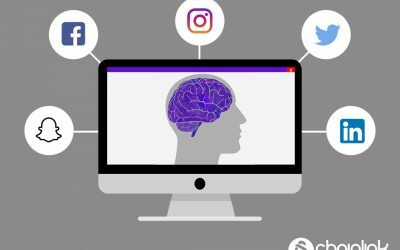 Our social media accounts have become a seamless extension of ourselves and how we perceive our world, and influencers know exactly how to capitalize on this. With a lot of assumptions floating around about his modern marketing form, we’d like to spell out what it’s all about in the most straightforward way possible. Influencer marketing is a tactic in which brands utilize key leaders to spread their message to a larger audience in a meaningful way that most forms of traditional marketing cannot accomplish. 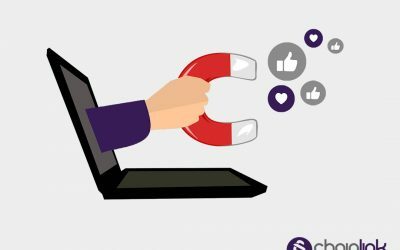 It’s a way for brands to not only collect social media followers, but increase connections with them. Thirty years ago the idea of a brand using someone other than a celebrity or well-known leader as a spokesperson might have seemed futile or unconventional. However, micro-influencers today are thriving. Micro-influencers and even super-micro influencers can provide a company more targeted, relevant, and widespread visibility and returns. Influencers are a way to facilitate relationships more than anything. They serve as a middle man and a trusted source to attest to the merits of a product, service, or organization as a whole. As the tech research firm Forrester confirms, it’s worth every penny to invest in deeper relationships with your customers. Most influencers act as an unbiased third party showing their followers how much they support a brand, even if they are paid to create and promote content. Influencer marketing can cross into questionable territory if it’s being used as a deceptive form of native advertising. 2) Pay attention to the guidelines. The last thing you want to do is sabotage your chance of success with your influencer marketing efforts by not following the rules the government has to protect consumers. Thankfully, there are concrete ways to make sure you’re complying with the Federal Trade Commission’s regulations. As long as you are following the right guidelines and making sure the influencers you hire understand how to be transparent, you have nothing to worry about. 3) Clearly communicate with your influencers. It’s critical to ensure you have clear lines of communication with the influencers you hire and that you compensate them fairly. Influencers can be paid by post, through free products or services, or through other non-traditional partnerships. It’s important to work out every single detail in your contract/agreement to avoid misunderstandings. Like any other business partnership, you want to implement the absolute best practices when setting expectations to prevent any miscommunication that could devolve into a disaster. 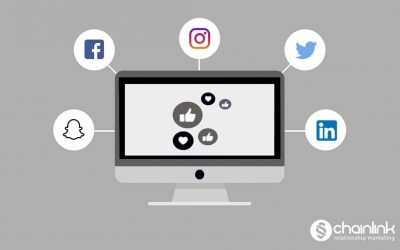 Once you’ve decided that your marketing strategy could benefit from some social influencers, you must decide which type of campaign you want to use. Not only do you need to choose the right individual(s) for your brand, but you also need to make sure you develop meaningful relationships with influencers themselves. Keep an open mind when collaborating with them, and give them the opportunities they need to create amazing content. There are a few different sub-categories of influencer marketing, all used for different purposes. 1) Use influencers to distribute discount links. This is one of the best ways to track your ROI. If you give each influencer a unique link or discount code, you can track which users came from where. This information can guide you in making decisions on which influencers to pursue and spend more of your marketing budget on. 2) Employ multiple ambassadors and micro-influencers. Brand ambassadors are remote representatives that spread awareness to a certain population. They promote positive word of mouth and bring in more engaged customers. Ambassadors are usually inexpensive and have a high ROI, although harder to track. Instagram accounts with 1,000-10,000 followers have an average like-rate of 4% while those with under 1,000 have double that. 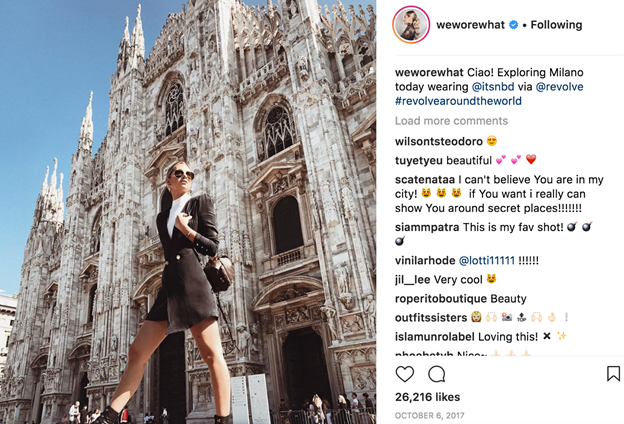 Micro-influencers have a more personal touch than those with hundreds of thousands of followers. This is especially important to consider if you are a small business or start-up. The more niche your influencer, the more they are about to engage with and relate to their fans. 3) Use influencers to help promote events. Brand sponsored events use influencers to RSVP to large events early on and convince others to join, whether it be through giveaways, contests, or widely spread promotions. Sometimes certain influencers will even accept an invitation or ticket as payment for the exposure they provide. Marketers for music festivals have finessed the art of using influencers successfully, for example, Coachella. Marketing through the Coachella Music Festival uses integrated campaigns instead of branded booths or stages. The focus on experiential and influencer marketing presents opportunities for influencer marketing, which BMW utilized in 2017 with their #RoadToCoachella campaign. 10 influencers posted original content about their journey to the Coachella Valley hoping to increase engagement with followers. BMW became the exclusive transportation partner of the fest by providing VIP shuttle service and hospitality, and in return aligned their brand with the creative and artistic values the festival and festival-goers hold. You might be wondering how effective this type of marketing really is. How much influence and reach do these Instagram “celebrities” really have. Skepticism is good and important in protecting your business. You can argue that the traditional methods like email and digital campaigns and paid sponsorship work. Statistics on ROI for influencer marketing are difficult to track. However, statistics on the effectiveness of influencer marketing and organic word-of-mouth marketing compared to other methods are staggering. 92% of consumers believe recommendations from friends and family over all forms of advertising, according to Nielsen data. The fashion ecommerce website Revolve has used multiple social influencers to build and grow their business. Revolve found that 70% of overall sales are driven by influencer marketing. To put this in perspective, Revolve was projected to earn 1 billion dollars in retail sales in 2017. 700 million dollars were made through purchases prompted thanks to people with substantial Instagram followings. About 70% of millennials make decisions based on what their peers do. Make sure you know how susceptible your audience is to recommendations and who they get their recommendations from. Celebrity endorsement is not always the way to go. Make sure your influencer is relevant. Are their followers loyal? Do they trust this person? If they are not respected in their community and their values don’t line up with your brands, avoid them. Don’t just start hiring influencers because everyone else is and it seems like a good idea. If your brand is struggling to reach a certain market, then figure out how you can use influencer marketing as a tool. However, it’s never a wise idea to jump on the bandwagon before you have goals and a specific reason to get started. Avoid employing people you can’t trust. Just as you would interview and vet an employee, do the same for those who will become an extension of your company. Everyone is human, and everyone makes mistakes. Communicate frequently with your influencer to ensure that you’re always on the same page. Also, have a crisis plan in place if the campaign starts to go south. It’s impressive to see the growth and effectiveness of influencer marketing as it has evolved over the last decade of this digital age. Huge corporations and start-ups alike have succeeded by realizing the future of marketing lies in the hands of these influential individuals. Although powerful, this new type of digital marketing has its own challenges to navigate. Unfortunately, many partnerships between influencer and companies are unregulated. 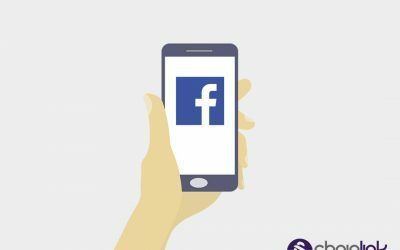 Remember: it is unlawful to post free products or trips without disclosing the connection. As long as you keep a close eye on the legality of your agreements and the success from them, you should be able to implement influencer marketing without any problems. If you want to integrate an influencer marketing campaign with your company’s other cross-channel efforts, Chainlink is here to help you. We can even manage your overall digital campaign using our proprietary platform, the Chainlink Marketing Platform, effectively applying our knowledge about social media marketing to ensure success. The Chainlink Marketing Platform offers solutions that can help your business seamlessly integrate your social channel platforms and customer data with your other marketing programs and workflows. Also, be sure to sign up for our free newsletter for more digital marketing insights that you don’t want to miss. Need a hand with your social media marketing strategy?